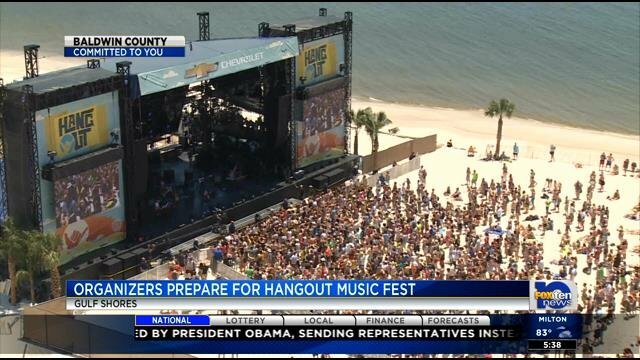 The Hangout Music Festival is an annual 3-day music festival held at the public beaches of Gulf Shores, Alabama. It was founded by A.J. Niland and Shaul Zislin in 2010, and is produced by Huka Entertainment. The duo had spent several years scouting locations for a festival location, until setting on the public beaches of Gulf Shores. Zislin is the proprietor of The Hangout, the festival's namesake restaurant located at the terminus of Alabama State Route 59 (opened in 2008), as well as several other businesses along the beach.The festival received approval from the Gulf Shores city council in December 2009 and the rest is history. The event features many genres of music, including rock, indie, hip hop, and electronic dance music.